A look at the fresh produce in your local supermarket will reveal the usual suspects. Familiar favourites like Little Gem lettuce, Maris Piper potatoes and Royal Gala apples dominate our shelves, but does this lack of choice really matter? A new photographic exhibition – Food Forever – at the Royal Botanic Garden Edinburgh (RBGE) says that diversity is important and is putting the spotlight on the need to conserve and promote food diversity as a source of resilience in the food system. The exhibition, which opened on 6 April, includes portraits of scientists, farmers and chefs working to ensure that we protect the vast, colourful spectrum of diversity in our food. “In effect they are all champions of diversity” said RBGE’s Dr Max Coleman. “Variety in our foods is part of the pleasure of eating, but there is also a more serious message in the exhibition about securing the foundation of our food, in the midst of a rapidly changing world,’’ he added. Food insecurity is created by many factors, but changes in local climate, declines in pollinating insects and the spread of pests and diseases are among the main causes. “Factors threatening to disrupt the steady supply of food are very real. Recognising the value and role of diversity in meeting these challenges is summed up by the old saying that you shouldn’t put all of your eggs in one basket”, Dr Coleman added. Research and history has shown us that relying on a single crop or a very limited amount of genetic diversity is risky. Take the Irish Potato Famine, for example. In the 1840’s, Ireland grew a lot of potatoes, however, farmers grew a disproportionate amount of one kind, the Lumper variety, which happened to be especially susceptible to late blight. When late blight hit the country, a major crop failure ensued causing millions of people to die from hunger. Had the country grown a more diverse variety of potatoes and not been so over-reliant on one variety, it’s likely the famine wouldn’t have caused such devastation. More than 160 years after the disease wiped out potatoes across Europe and triggered the Irish Potato Famine, it continues to threaten farmer livelihoods around the world. It causes €7.7 billion-worth of potato losses every year in developing countries alone, where the majority of potato farmers live, showcasing the important role genetic diversity can play in strengthening our food system. As well as showcasing the work of food diversity “champions” in Scotland and elsewhere around the world, the exhibition is part of a wider campaign, called the Food Forever Initiative, led by the Crop Trust that encourages everyone to play their part. The Food Forever Initiative is an awareness raising campaign in support of UN SDG Target 2.5, which calls on the global community to safeguard the biodiversity of our foods by 2020. “Our aim is to make sure the message about the importance of conserving and using crop and livestock diversity reaches as many people as possible so that come 2020 – the prospect of ending hunger isn’t just a goal, but a reality,” said Marie Haga, Crop Trust Executive Director. “The Food Forever travelling exhibit is one concrete way of spreading this message,” she added. SEFARI, the Scottish collective of environment, food and agriculture research institutes, is also supporting the exhibition and six of the 18 portraits feature people who work for SEFARI. Among them is Dr Madalina Neacsu, at the Rowett Institute, who is looking at the use and health benefits of unfamiliar crops that can be grown in Scotland. The aim is to encourage a greater diversity of plants in the diet, which in turn can encourage farm diversification. At the James Hutton Institute, researchers Dr Ingo Hein and Dr Joanne Russell have a focus on the role of specific genes in crops. Dr Ingo Hein is identifying genes that confer resistance to late blight in potatoes, and Dr Joanna Russell is exploring the genetic basis of nutrient uptake in barley. Both of these lines of research could reduce the need for chemical inputs and make farming more sustainable. Alongside work on these two traditional Scottish crops, Dr Susan McCallum, also at the James Hutton Institute, is leading a drive to create new varieties of blueberry suited to local conditions through a breeding programme involving the related native blaeberry. This would give UK farmers more opportunity to take advantage of the high demand for blueberries and reduce food miles into the bargain. At RBGE, biodiversity scientist Dr Tiina Sarkinen is leading research on the diversity of the potato family and is looking at the wild plants related to a number of familiar crops including potatoes, tomatoes, eggplants and the less familiar black nightshades. These so called Crop Wild Relatives, which are the wild cousins of our domesticated crops, could hold the key to solving some of the world’s growing agricultural concerns. “The ability to feed people in a changing world will rely on genes present in naturally resilient wild relatives of crop plants” said Professor Peter Hollingsworth, RBGE’s Director of Science. Genetic diversity as a source of resilience is not something restricted to crops. Research at Moredun on genetic diversity in livestock is aimed at improving the health and welfare of animals whilst minimising the use of drugs and pesticides. “SEFARI research aims to secure the supply of healthy and sustainable food through an integrated approach to agriculture, environment, food, health and the economy” said Dr Charles Bestwick, Interim Director of SEFARI. Cataloguing the diversity in farmer’s fields and the wild is only the first step in a much larger global system of conservation. 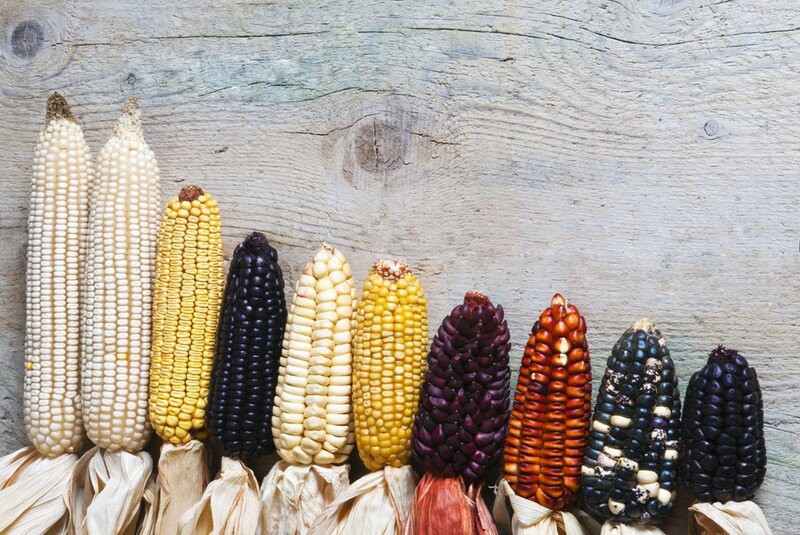 Seeds stored in a network of specialised seed banks provide material for crop breeders and many times are the only place where some diverse varieties still exist. The ultimate back-up for crop diversity is provided by the Svalbard Global Seed Vault. This state-of-the-art storage facility is carved out of the permafrost in Svalbard to serve as a safety back up facility for these seed banks and act as an insurance policy against extinction. The Vault is operated by the Crop Trust, the Norwegian Government and the Nordic Genebank (NordGen) for the benefit of all humankind. Food Forever can be seen at RBGE’s John Hope Gateway from Saturday 6 April to Sunday 9 June. Entry is free. For further information and images contact Sandra Donnelly on 0131 248 1037/07554115908 or Heather Williamson on 0131 248 2942.